Fun Penguin Facts for Kids. There are so many interesting facts about this aquatic bird! Let’s learn with facts about penguins for kids! Learning is way more fun with simple, interesting and most importantly easy to remember facts for kids! Penguins are one of the most amazing (and well loved by kids) birds on our planet – their tuxedo like “style”, their wiggly walking and their super agility under water – I mean what’s not to like? Let’s learn something about this awesome animal shall we? Their wings evolved into flappers. Their black and white color serves as camouflage when in water. When predators look at them from bellow they see white and they blend with the water surface and when seen from above they blend with the deep blue. They live in the Southern Hemisphere almost exclusively. The Galapagos penguin is the only one that lives north from the equator. Emperor penguin is the tallest and Little Blue penguin is the smallest. Diving penguins reach average speeds of 6 to 12 kmh / 3.7 to 7.5 mph and can swim even faster when startled. Their sliding on their bellies on the snow is called “tobogganing”. They can drink salt water. Polar bears and penguins don’t live together (bears are on the North Pole). 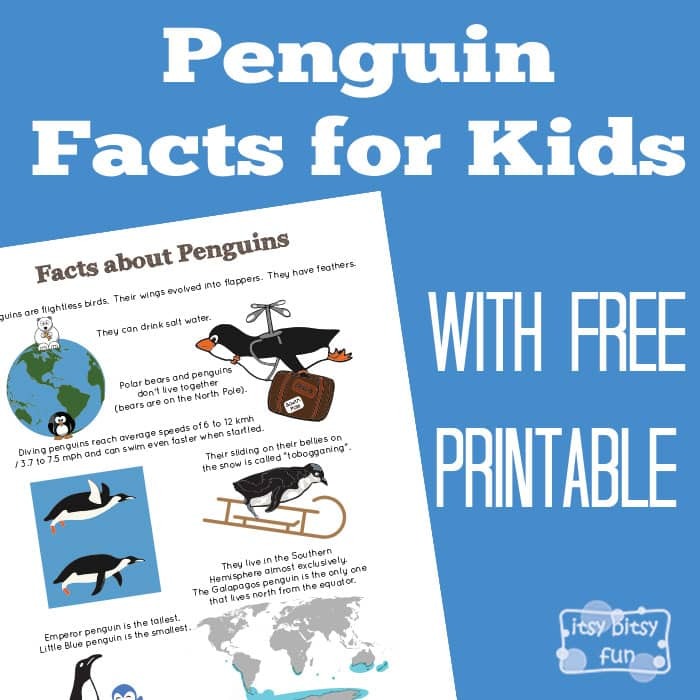 Free Printable PDF with Penguin Facts. 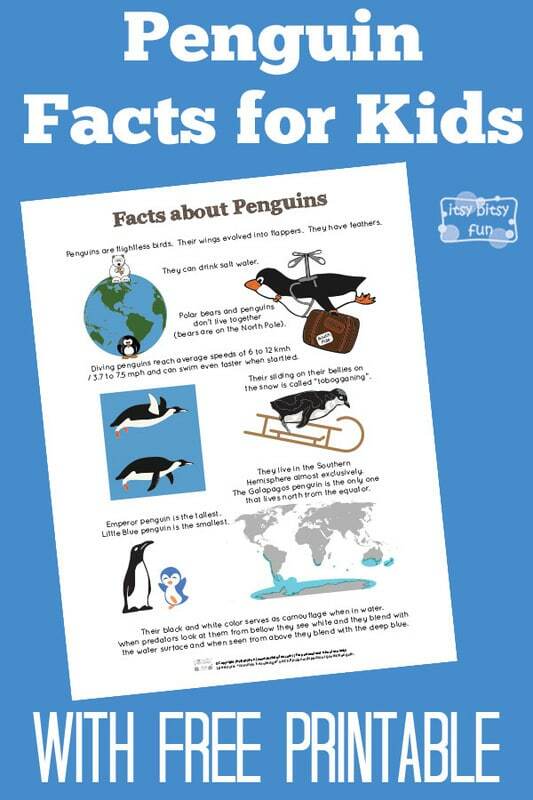 Get your free printable Penguin Facts for Kids here.